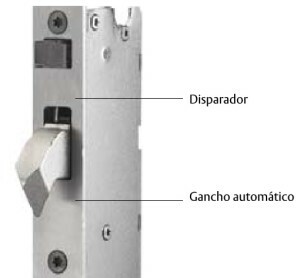 In Juanjo Cerrajeros Alicante we have a wide range of security locks. Depending on the level of security required by each client, in addition to the model of door or enclosure to be improved, there are different types of security locks that can be installed to improve the quality of the access to your private spaces. Self-locking security locks. These locks are very practical for homes and premises, because every time the door is closed an additional bolt to the latch are closed to protect the entrance avoiding thefts with opening cards. In practice it is as if every time the door is closed, you “turns the bolts”, increasing greatly the security since we do not depend on remembering to close, or in the case of a shop, every time a client leaves, the door Is well closed. When opening, it is equally practical, since the handle or knob removes the bolts and the latch at a time, and if a remote opening is needed from a counter or similar, there are also motorized locks making them much safer than the door opener of a lifetime. or in companies that have a gateway to a industrial warehouse away from offices or other situations, these security locks are very interesting as they are much more robust than the usual electric door opener. 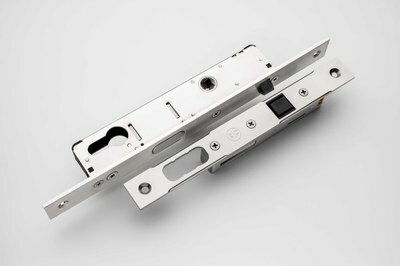 Common door openers have a low tolerance to pressure and shock as their configuration makes them unable to withstand kicks. These types of electric security locks differ in that every time the door is closed, a bolt comes out of the door in the same way as if we locked it. When the opening button is pressed from the reception or the intercom, it is released giving way. and its function is to close the security lock completely when it is detected that an attack is happening to the cylinder of the door. An internal mechanism in the lock does not work, it is necessary to call a professional locksmith to be able to use it again. This system ensures that the thief can not access the house or business. If you are thinking of increasing security in your home or business, call Juanjo Cerrajeros, we will take care of you professionally and we will advise you the installation that best suits your needs at the best price. Juanjo Cerrajeros, your security specialist.